New Zealand Produced and bottled by Villa Maria Estate Ltd New Zealand. Waitrose in partnership with Villa Maria Marlborough New Zealand. 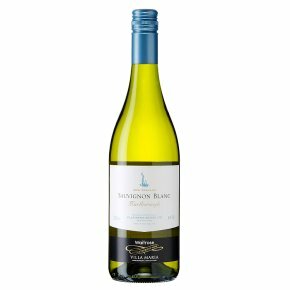 Waitrose Marlborough Sauvignon Blanc is made in partnership with Villa Maria in Marlborough, New Zealand. Waitrose have chosen to work with Villa Maria as one of the country's premier wine producers, famous for their devotion to excellence and for their consistent success in wine competitions.The winemakers have made a classic wine with carefully selected fruit from a mix of vineyard areas across Marlborough, including some of the more recently planted exciting sub-regions. They have created an easy-drinking yet mouthwateringly fresh aromatic style, displaying notes of gooseberries and cut grass: equally delicious as an aperitif or with asparagus, fish or chicken.